Give eggplants a head start on the growing season by starting them indoors, 6 to 9 weeks before the average last frost. Soak seeds overnight to encourage germination; sow them 1/4 inch deep in a loose, fine medium, such as vermiculite. 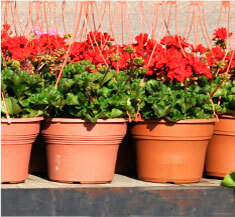 Use bottom heat to maintain a soil temperature of 80° to 90°F for the 8 to 10 days required for sprouting. Transplant seedlings to individual pots once they reach 3 inches. When outside night time air temperatures are above 50°F, gradually expose them to the outdoors to harden them off. Keep transplanting your seedlings into larger pots as you wait for both outdoor air and soil to warm up to at least 70°F. Try growing eggplants in raised beds, which heat up quickly in spring. Plants given plenty of room are healthier and more productive, so space them 2½ to 3 feet apart in all directions. Water well, pour 1 to 2 cups of compost tea around each plant, and firm the soil gently. Eggplants are also good for container growing, with one plant per 5-gallon pot. 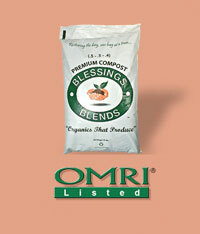 Use Blessings Blends OMRI-Listed Premium Compost (.5-.5-.4) for best results.